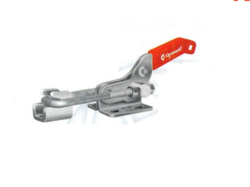 We are the prominent manufacturer and exporter of a wide range of Pull Action Clamp to our clients. These are designed for Sealing Chambers, Doors, Mould Closures and well known for its features like durability and sturdy construction. Our product range is procured in compliance with variegated demands and needs of our client base. 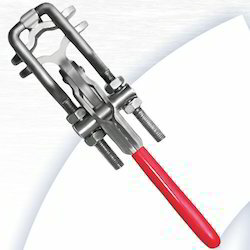 We offer our ranges of clamps to our respected clients at economical prices in the market. We have been engaged in manufacturing and exporting a wide range of PA-10TA Horizontal Handle Clamp that caters to the requirements of various industries. 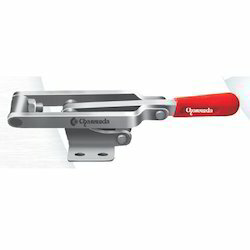 We take pride in offering a comprehensive range Variable Stroke Straight Line Action Clamps that are fabricated from high grade material and advanced technology. Our range is offered in various specifications as per the requirements of our clients. These are also stringently checked on various parameters to ensure compliance with international standards. 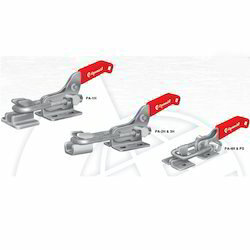 Our organization deals in offering an extensive range of this Flange Mounting Pull Action which can also be customized as per the specification give by clients. Our products are highly demanded due to durability and easy installation which are suitable for Quick Clamping of Door, Drums, Container or Two Piece Mould. We use latest technologies that are used in various applications. Holding Capacity 100 kg, 200 kg. We are dedicatedly engaged in manufacturing and exporting a matchless range of Pull Action U Bar Arm, Horizontal Handle Toggle Clamp - U Bar Arm. The pressure capacity is from 100 kgs to 3000 kgs. These are manufactured using top quality materials and advanced technology by industry experts. 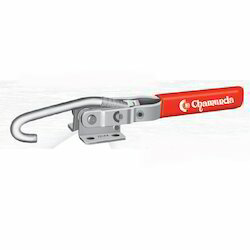 Our ranges of Clamps are ideal for holding adjustment heavy forces. Clients can avail these from us at affordable prices in the market. 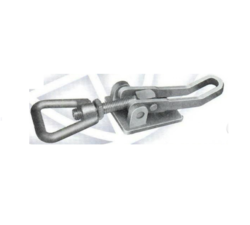 We manufacture these Type Hook Clamp with superior quality in different size, and shapes they are available in various dimensions according to the requirements of the clients. They are highly found applications in sealing chamber doors or door closer. These are comfortable and convenient to use which perfect finish and effective in application. We are instrumental in manufacturing and exporting an assorted range of J - Type Hook Toggle Clamp. It is best all around Clamp for locking pressure vessels doors and available in various sizes, models as per the client's requirements. Our range is known for its high tensile strength, durability, corrosion resistance and dimensional accuracy. These are available at competitive prices in the market. 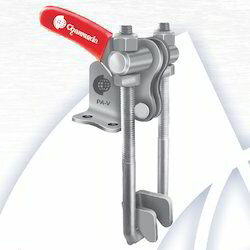 Our expert group is engaged in manufacturing and exporting of a unique range of Vertical Handle Toggle Clamp. These products are designed and developed in line with the prevailing trend and standards of the industry. Our quality testers are well experienced and fully qualified to check the quality of the product from its initial stage to till its final product. We offered ranges of these models are ideal for installation such as lid closures where it is preferable to mount the Clamp on the lid and Latch Plate on the Vessels. Looking for Pull Action Clamp ?